We hope you enjoyed the quiz! Here are the answers! 1. How do you pronounce the name Eumundi? 2. What type of animal is Eumundi? 4. What is the name of the boat the pilgrims used to cross to the New World? 5. What does Julia ask Eumundi if she should bring on their adventure? 6. How many days did the pilgrims take to cross to the New World? 7. The authors of Thanksgiving With Friends are a father and ? team. 8. Where is Dakota from? 9. What is the subtitle of the book? 10. Which of these Thanksgiving foods is the most popular today? 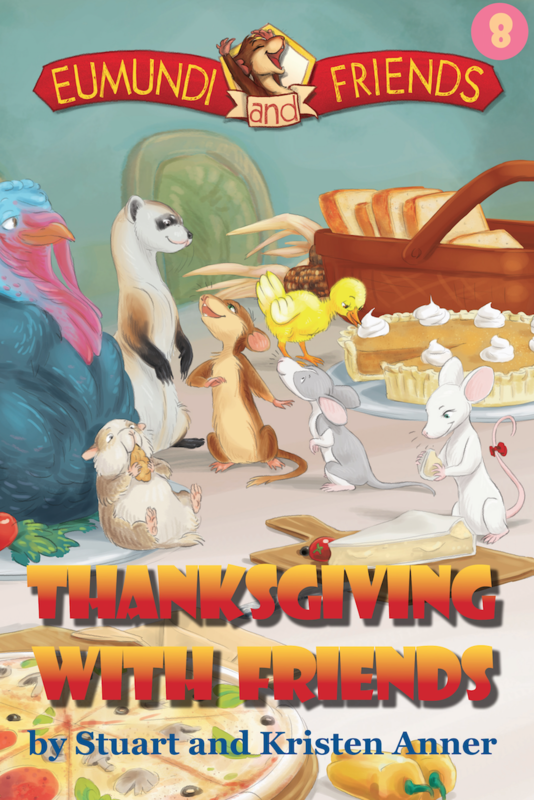 If you enjoyed Thanksgiving With Friends, you might like other books in our series – you can check them out on Amazon – CLICK HERE! Would you like to learn more about Stuart and Kristen Anner and the Eumundi and Friends books? Visit www.eumundiandfriends.com now!